Inspired by Hackerslair theme for Aston2. Wall in preview is Dominion Of The Cell WiFi Hulk Wall by submicron. 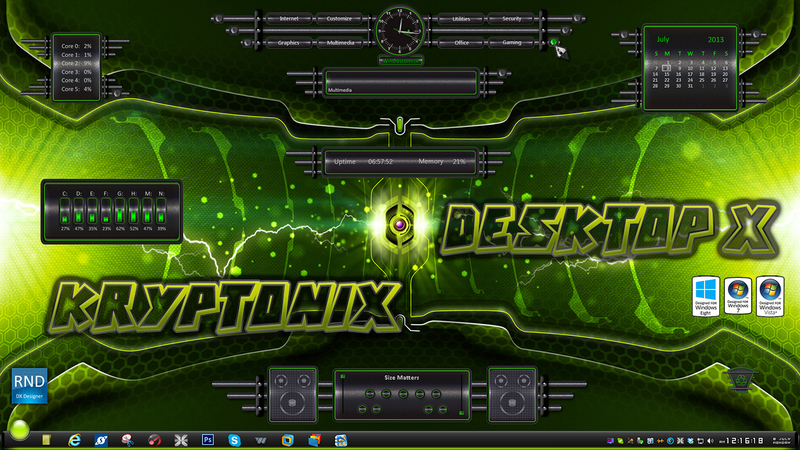 Made for Windows Vista, 7 and 8! I love it! Good Job, Jim. Thanks Richard! You too Wiz. Appreciate it. My favorite color Alien Kryptic Green! Great scifi setup Jim! Thanks, Stramp! You should do something for this suite of skins. Right up your alley!